My morning started with me flushing a Green Heron (CHECK) off from a beaver pond in France Brook as it flew up into a dead snag! I had thought for a second it could have been a Bittern but was only a Green Heron! In the same general area was my first Swamp Sparrow (CHECK) for 2009’s singing it’s signature sowing-machine song. Then on Facebook our good friend Marg mentioned that I should blog about butterflies that I am finding! 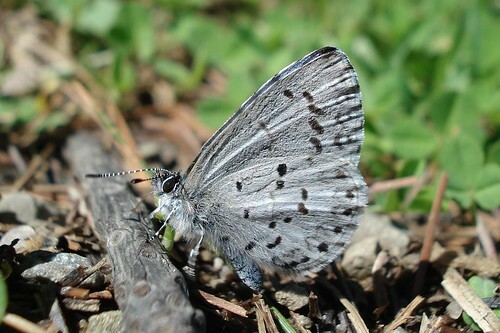 At that point nothing new had started flittering around until this morning when I saw my first Spring Azure (CHECK) for the year! I then had two West Virginia Whites (CHECK) flittering around the bike path in an area that I don’t typically find any West Virginia Whites until later in the season!! Lets anticipate this as a sign of a great West Virginia White season!!!! Although Marg has already seen her Eastern Comma . . . . I am still waiting for my first of the year Comma to make its appearince! Sound’t be long though! This entry was posted on 17 April 2009 by mon@rch. It was filed under Allegany State Park, Birds, Butterflies, Flickr, migration, Nature, photography and was tagged with Green Heron, Spring Azure, Swamp Sparrow, West Virginia White. Thanks for mentioning butterflies to Mon@rch Marg. Great shots Mon@rch. I’ve had a Song Sparrow in my yard for a week. Can’t wait for the rest to arrive! Oh, the wonders of migration. I could watch all day long to see them come through. Jeez! “ONLY” a Green Heron? I don’t think I have positively identified a swamp sparrow. I like your photo of it and will have to look for one. Great shots! 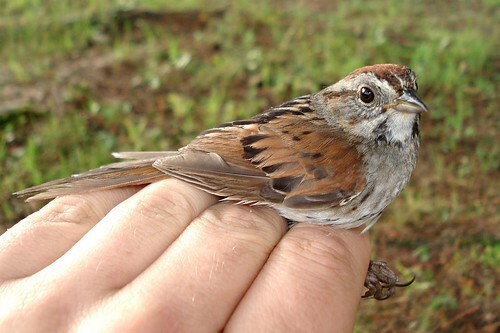 The Swamp Sparrow is so cute! Hopefully I will see quite a bit in class this morning and at the Hawk Watch. Nice Tom- People go ga-ga over West Virginia whites in our part. Very nice. I’ve seen one once. It has been just wonderful checking of each returning species. Gets the adrenaline up and running. Here in Central Maine we’ve delighted in birding the coast, and are waiting patiently for arrival to the interior. 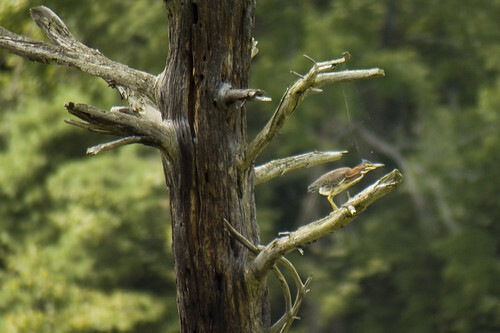 Great shot of the Green Heron and Swamp Sparrow. My only butterfly so far has been a Morning Cloak. I particularly like the butterfly images. I’m still waiting for some to show up around here. It seems that they are very slow to show this year. that green heron looks mini up there in that tree. And I have to say I really love when you show the butterflies with the names of what they are..I am in need of butterfly knowledge. That swamp sparrow looks very familiar but not sure I am have seen one before. I am starting to see a lot of butterflies now. @ Lisa – No worries and thanks for your kind words! @ Lynne – Song Sparrows are so much fun! @ NCmountainwoman – LOL . . . they can become common around here! @ Ruth – You can ID them easier by song than by sight! The song is very easy . . . sowing machine! @ Toni – Thanks and good luck at your class! @ Tom – Thanks and they do here also . . . lucky in the spring they are one of the most common butterflies here in Allegany! Actually the National Heritage group here in NYS are using one of my WV White photos that I took! @ kaholly – Thanks and it is great keeping up with the return’s dates! 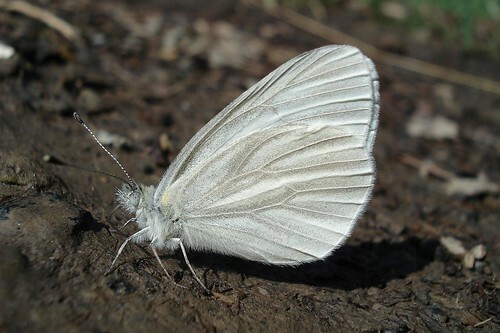 As it gets warmer you will find many more butterfly species showing up! @ Jayne – they are out there . . 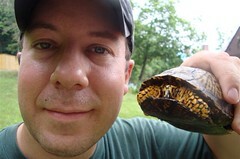 I know I am looking for more species! Moths are moving around also! @ edvatza – thanks and shouldn’t be too long for you! It seems to me that most everything is just on time! @ Dawn – thanks and spend some time with them . . they are worth studying! @ Lana – thanks is spring is here . . . it is official! @ Joan – Thanks and glad you are out looking for butterflies! Ha, ha, ha I thought you said you were going to do birds! Nice Azure-and Virginia-and hey I’m glad I mentioned them too though I still don’t have a buttefly shot for this year-well not a good one anyway! Great early-season finds. I can’t wait to get out and try to see the new spring arrivals!